Fiat Chrysler's Brampton assembly plant will get a new paint shop, and Ontario said it's willing to help pay for it. 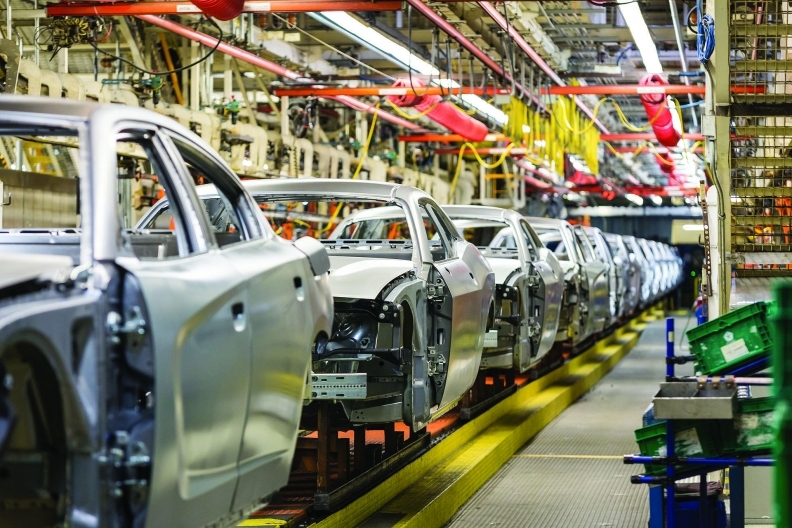 Ontario is ready to provide financial support to General Motors and Fiat Chrysler after the automakers pledged to upgrade Canadian plants as part of new labour contracts, the province’s economic minister said. “When you’re competing in a world where jurisdictions at times are paying 100 per cent of the capital costs of assembly plants, we also have to bring something to the table in terms of incentives,” Brad Duguid, minister of economic development, told Automotive News Canada in a phone interview today. Duguid was referring to jurisdictions like Mexico and states in the U.S. South, where governments pay large portions, although usually not all, of the capital costs associated with building new facilities. Duguid spoke two days after Fiat Chrysler Automobiles and Unifor tentatively agreed to a new four-year contract, now awaiting an Oct. 16 ratification vote. GM workers ratified their new contract last month. As part of the FCA deal, the automaker promised to spend $325 million to upgrade the aging paint shop at its Brampton plant, where it builds the Chrysler 300 and Dodge Charger and Challenger. General Motors promised to spend $554 million at its Oshawa and St. Catharines plants, combined. GM also pledged to bring final assembly of its Chevy Silverado pickup from Indiana to Oshawa and some engine work back from Mexico to St. Catharines. Duguid wouldn’t say how much Ontario is willing to contribute to the overall cost of GM’s plans but said his government is there to help. GM spokesman Tom Wickham would only say that the company is working toward "potential support agreements" with provincial and federal governments and that discussions with both are ongoing. Duguid said FCA hasn’t approached the province to discuss its plans for Brampton and Toronto, where the Etobicoke casting plant will also receive investment. FCA didn’t use provincial money to fund its $3.9-billion upgrade at its Windsor assembly plant. But after that factory was up and running, building the new Chrysler Pacifica minivan, the province promised the automaker up to $85.8 million from its Jobs and Prosperity Fund. The money will be used to pay for the Automotive Research and Development Centre there and to support advanced employee training and some upgrades for production of the plug-in hybrid Pacifica, which joins the line later in 2016. Tony Faria, the co-director of automotive and vehicle research at the University of Windsor, believes FCA will approach Ontario for aid. “In the past, Ontario has been very cooperative with the automakers,” Faria said. He said government support in Canada usually equates to 20 per cent of the total investment announced by the automaker, usually split equally between the province and federal government. Elsewhere, that financial assistance could total as much as 70 per cent, as was the case in Chattanooga, Tenn., when Volkswagen built a plant there. “I don’t think FCA is going to pay for the new paint shop themselves. I would find it hard to imagine FCA would agree to an investment like that without government support,” he said. “They’re going to go into talks to see what kind of support they can get for it. Unifor only has Ford Motor Co. on this year’s list of auto negotiations, which are set to resume after FCA workers ratify their contract. Investment in the Windsor engine plants is top priority for the union -- and for Duguid, too.